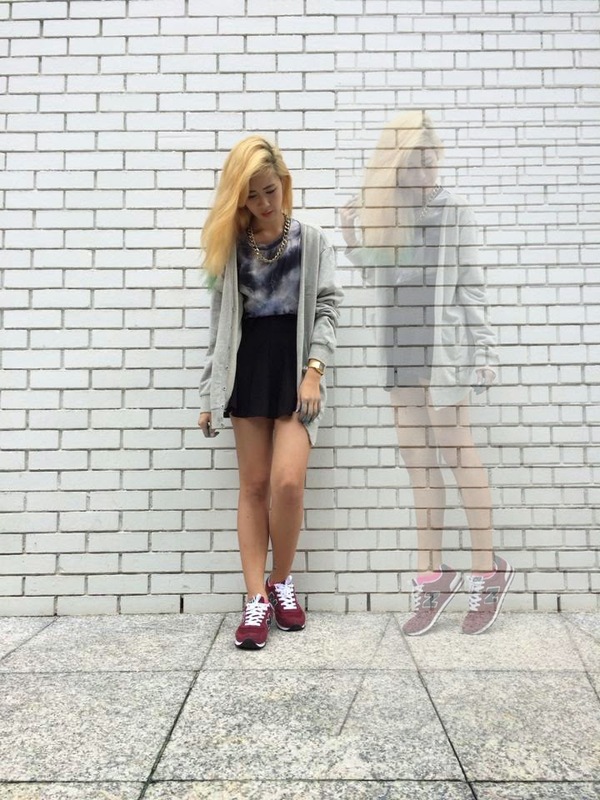 Z E N G.: How I Style: EN BEE inspired shoes. 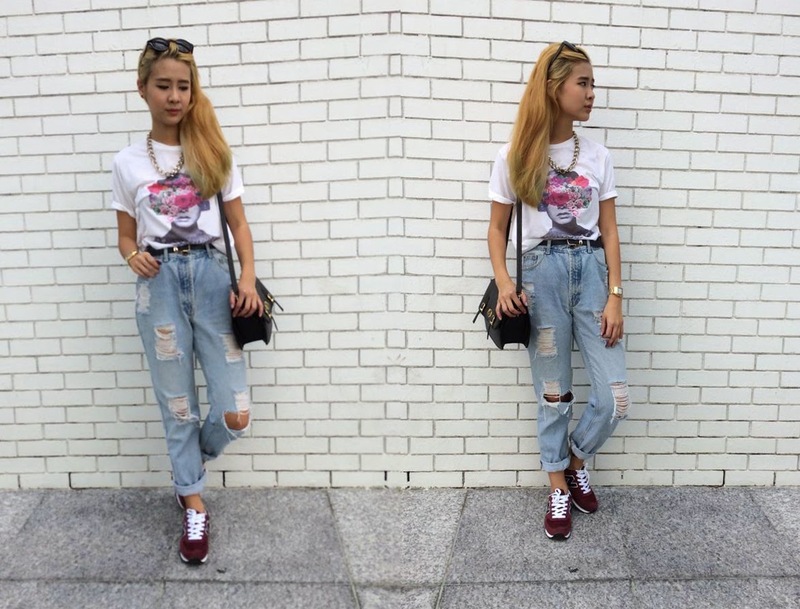 How I Style: EN BEE inspired shoes. so few weeks back, i bought a new pair of shoes, the New Balance Inspired Shoes. 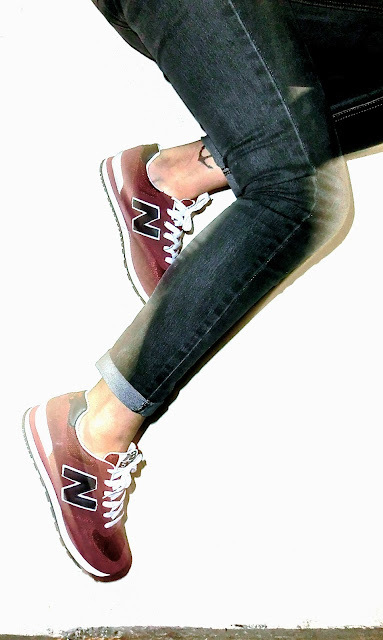 i got these maroon new balance inspired shoes off an instashop! & did i tell you how comfortable the shoes are? SUPER COMFY! who says you can only wear sports shoes/trainers with shorts? pair them with a skater skirt & still look pretty fine! & yeapp! feeling more conservative? both skinny jeans or bf jeans are fine! but i prefer skinny jeans with these shoes! this look is more 'street style'.